This week I conducted a free webinar for CharityHowTo with my good friend Kurt Steiner. More than 1,300 people registered and about 700 people showed up. Over 85 percent of the nonprofits that attended were already using Facebook, but more than 75 percent considered their knowledge level beginner or intermediate. 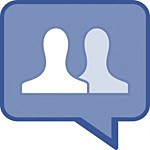 Why should you use a Facebook Page instead of a Group or Profile? Should you name your Facebook Page after your organization? What category should you choose for your Page? What applications can you use to customize your Page? How can you begin to promote your Facebook Page? How can you save time managing your Page? How can you tell if your fans like your content? How often should you update your Facebook Page? How can you collect donations from your fans? How can you revive a Facebook Page that’s gone stale? Above is the deck, which includes a few pointers on each of these questions. You can download the PDF as well. Thanks John. I was supposed to be on the webinar but got called into a meeting. So glad I can download this deck. Uber helpful!